TR piling desilter is a integrated mud system for treating small solid particles. Our piling desilter is composed of double-layer shale shaker, cyclones, centrifugal pump also mini mud tank. It covers small area, and could transport easier because of integrated system. This is a good choice to lower construction cost and reduce mud usage. Nowadays TR piling desilter is widely used in No-dig industry like horizontal directional drilling, tunnel, microtunneling also pipe jacking. 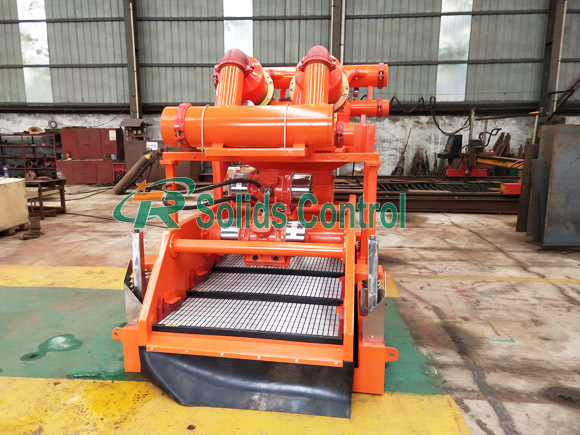 Are you find a suitable manufacture for mud cleaning of your drilling field? 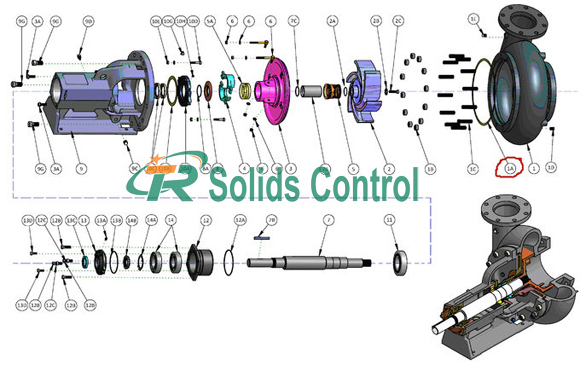 Therefore TR Solids Control can help you. Above all, we could match the right mud system according to your site condition. At present, our mud system is almost used in oil & gas drilling, horizontal directional drilling, tunnel boring system, city bored piling, also drilling waste management, etc. Looking forward to your inquiry! Sales office: No.10 West of North 2nd Ring Road Xi’an City. Mud Cleaner is the second class and the third class solids control equipment. It’s the newest type to treat the drilling fluid. TRQJ series drilling cleaner are combined from Desander, Desilter also Underflow Screen. Furthermore, our cleaner has the higher cleaning function compared with separated desander and desilter. 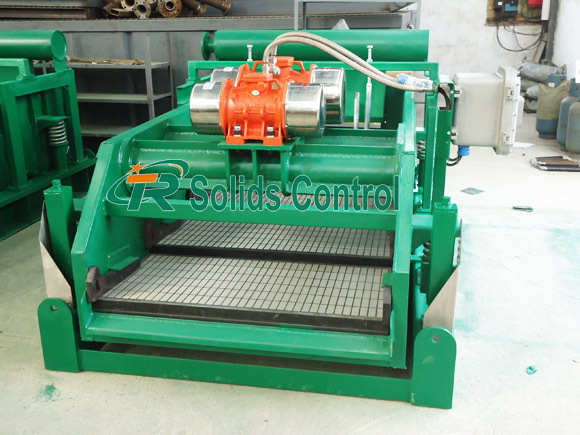 In addition to the reasonable design process, it equals another shale shaker. Nowadays TR designed a new type mud cleaner, which is similar with brand Mi-Swaco. 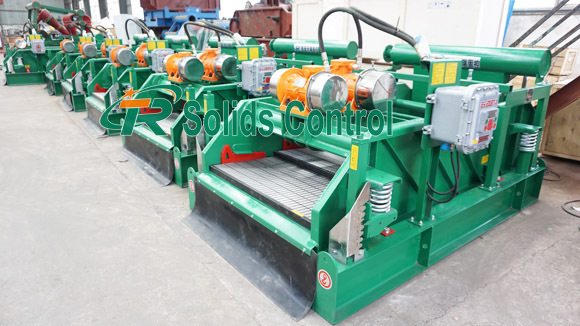 It combines desander, desilter also shale shaker. In addition, with compact structure design and small size, this kind of drilling cleaner prevails in international market. Many clients contact with us for its specifications and price, and they show strong and keen interest in it. Finally we believe they will purchase soon after deeper understanding. 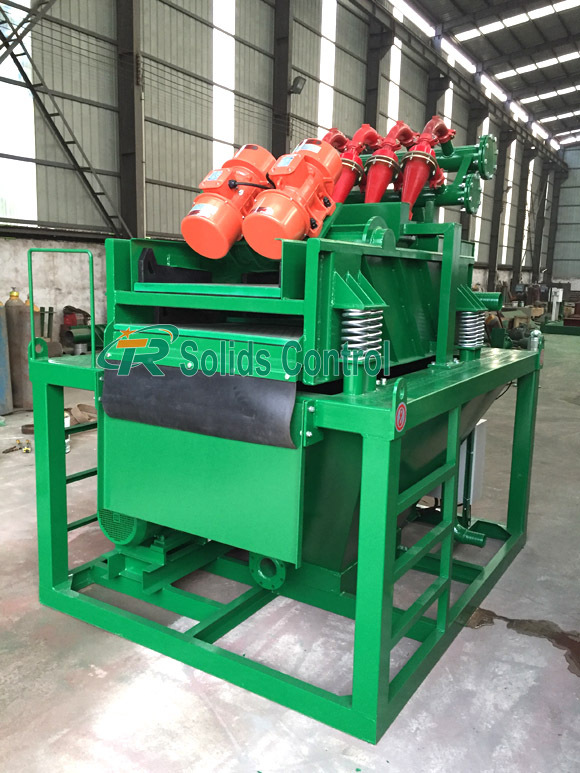 Above all, TR Solids Control is the main manufacturer of mud cleaner in China. Meanwhile our drilling cleaner is widely used in trenchless HDD, tunneling construction, city bored piling, oil & gas drilling, Drilling Waste Management, Oil Mud Seperation, environment protection, Coal Bed Gas Solids Control System, mining, also Water Drilling etc. 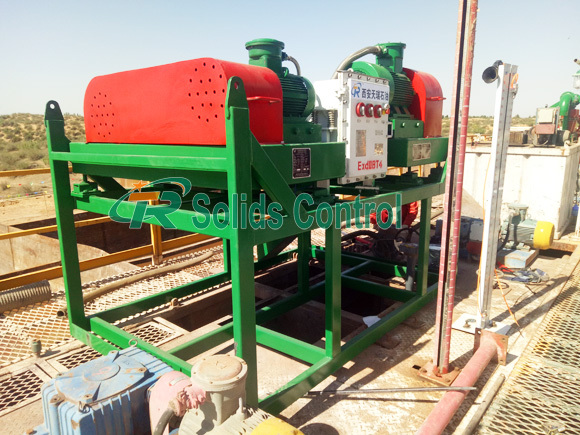 Drying shaker is the first phase equipment to achieve the mud without landing. Also it can also be used at the first stage of mud recycling system in oil drilling process. If you want to realize the slurry does not fall, single equipment can not be achieved. Furthermore, it requires a variety of equipment combined together also treated systematically. Therefore TR drying shaker is used widely in drilling waste management, oil & gas drilling, oil mud separation, environment protection, also oil sludge dewatering system etc. So hopper type feed mode reduces feed speed. As a result, TR drying shaker is popular by large capacity and large motor power. Welcome you to consult with us about our drying shaker. Furthermore, we have other product like mud cleaner, decanter centrifuge, centrifugal pump, shear pump, screw pump, jet mud mixer, vertical cutting dryer, also mud gas separator etc. Come to contact with us for more details! Submersible slurry pump is one kind of vertical type centrifugal pump. It mainly supplies slurry for shale shaker and decanter centrifuge from drilling mud pit. On March 19th, TR finished new batch of submersible slurry pump in our factory. It will be delivered to our Russia client for their oil & gas drilling field. The model is 80YZ50-20, flow rate is 60m3/h. Also power is 11kw. These pumps will be used as feeding pumps for their present decanter centrifuge. Are you finding a short-delivery submersible slurry pump for your solid control equipment? 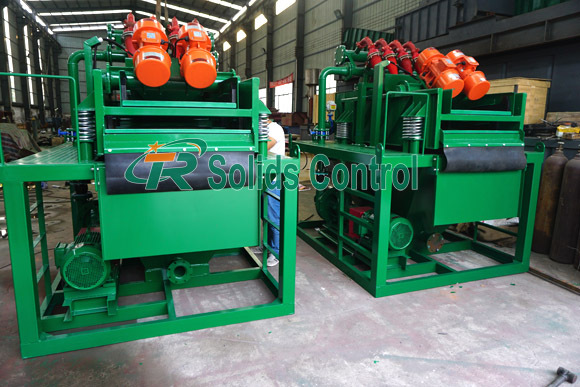 TR Solids Control will be your good choice. 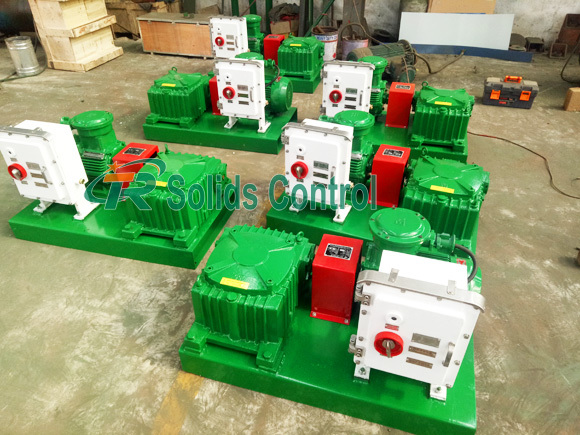 Our submersible slurry pump is currently used in oil & gas drilling, horizontal directional drilling, drilling waste management, oil sludge treatment, tunnel construction, environment protection etc. Looking forward to your request! Centrifugal Pump is designed for transferring drilling fluid or industrial suspension slurry. TR centrifugal pumps are with excellent performance, high traffic, high temperature, also long service life, easy maintenance, high reliability and remarkable energy saving characteristics. It can be totally replaceable with brand Mission centrifugal pumps. Nowadays spare parts of our centrifugal pump are popular by customers. Furthermore, more and more contact with us for inquiries or orders. The open vane structure impeller reduces the shaft load to minimum, also more suitable for transferring high density and high viscosity mud. The vane profile complying with the hydraulic principle, increase the output and efficiency. Utilizing wear-resistant materials for the key parts to prolong the service life. Axial adjustment structure makes it free to adjust the clearance between impeller and mechanical seal, therefore ensuring equipment operation more reliable. A variety of pump casing also impeller can meet different requirements of the customers. If you are searching good price spare parts which can be replaceable with Mission centrifugal pump, TR Solids Control is your good choice. Above all, our pump spares have short delivery also high quality. Once you have any new requirement about this, we are welcome your inquiry! 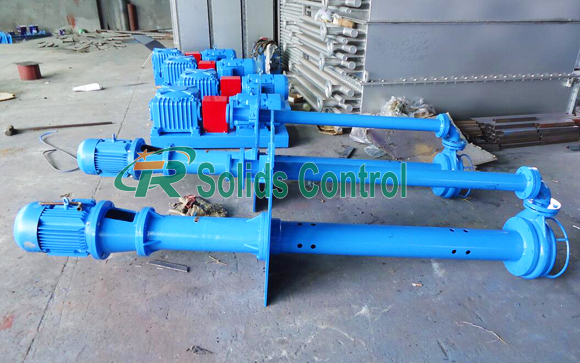 Mud shear pump is one of the important equipment in drilling fluid circulation system. It mainly used to deal with chemicals and soil, also can quickly attain the purpose of configuring drilling fluid. Recently, TR got an order about drilling fluid shear pump from a new Ukrainian client. 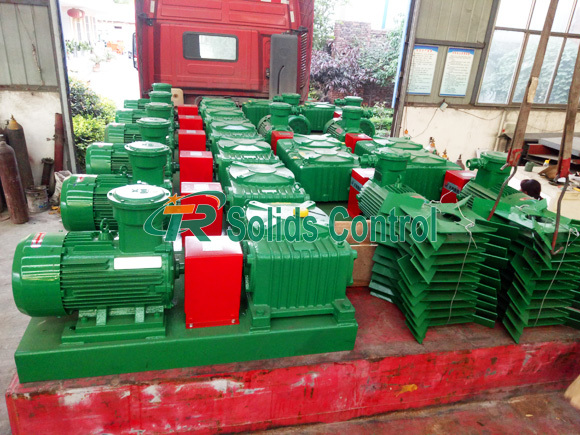 It includes 10 pieces TRJBQ6545 shear pumps, and they are in fabricated at our workshop now. Finally we estimate to complete them 10 days later. Using special impeller and shear board, shear efficiency> 95%. Impeller material selects high chromium alloy, shear plate made of stainless steel, with wear resistance also good corrosion resistance. 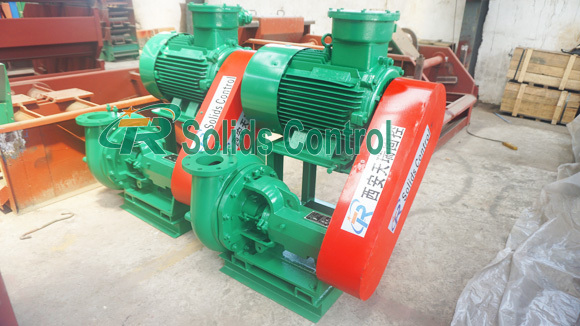 TR Solids Control is a professional manufacturer engaged in shear pump with rich experience. Currently our shear pump is widely used in oil & gas drilling, tunnel boring system, horizontal directional drilling etc. Furthermore, TR has other hot product like decanter centrifuge, mud agitator, shale shaker, mud cleaner, centrifugal pump, screw pump, jet mud mixer, mud gas separator, also vertical cutting dryer etc. 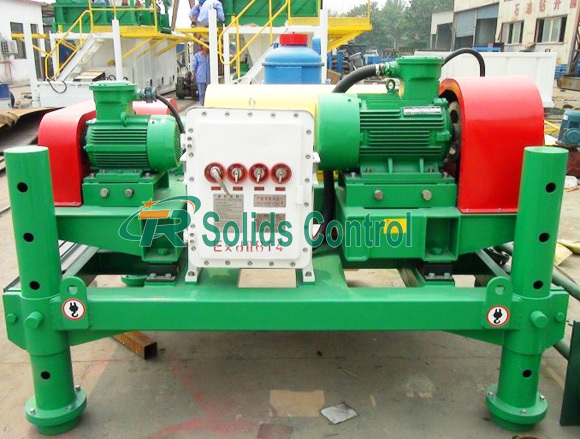 Decanter centrifuge is the fourth solid control equipment in handling drilling fluid. It’s used to separate suspension liquid by adopting principle of centrifugal sedimentation. It mainly separates 2-7μm solid particles in drilling fluid. Nowadays, TR mud centrifuge is widely also commonly used in industry of drilling waste management. 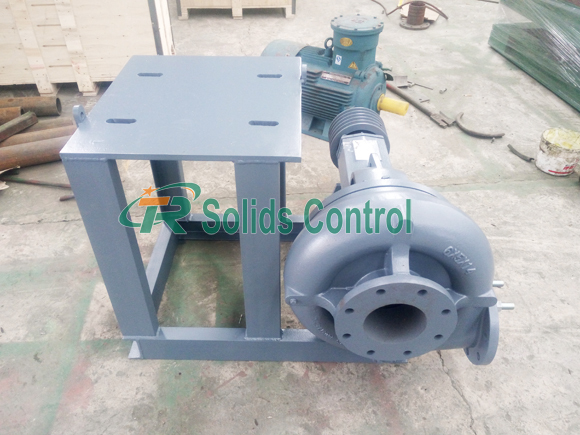 TR Solids Control is a lead and professional manufacturer of decanter centrifuge. TR decanter centrifuge is high in recovery rate, also effective in solids control and remarkable in the reduction of cost spent on drilling mud resupplying and management. Below is the main technical data of our decanter centrifuge. Above all, TR Decanter Centrifuge can meet with different requirements of mud treatment under various drilling conditions. As a famous manufacturer of decanter centrifuge manufacturer in China, our centrifuge has good price also high quality. Furthermore, we have other solid control equipment like shale shaker, mud cleaner, mud agitator, centrifugal pump, shear pump, jet mud mixer, also mud gas separator etc. Shear Pump is a new type equipment which provides the fast configuration and treatment mud for users. 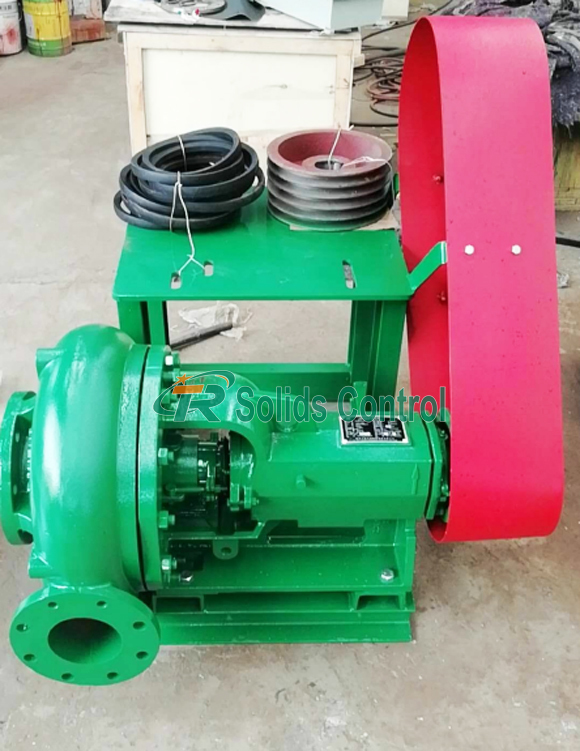 TR Shear Pump can effectively mix and completely hydrate the material added in the drilling fluid, save the mud material, reduce the time of configuration, also provide the high performance mud for the well drilling. Oil seal adopts imported fluorine plastic seal, with good cooling capacity. Bearings internationally renowned brands SKF, also quality assured. Using special impeller and shear board, shear efficiency> 95%. 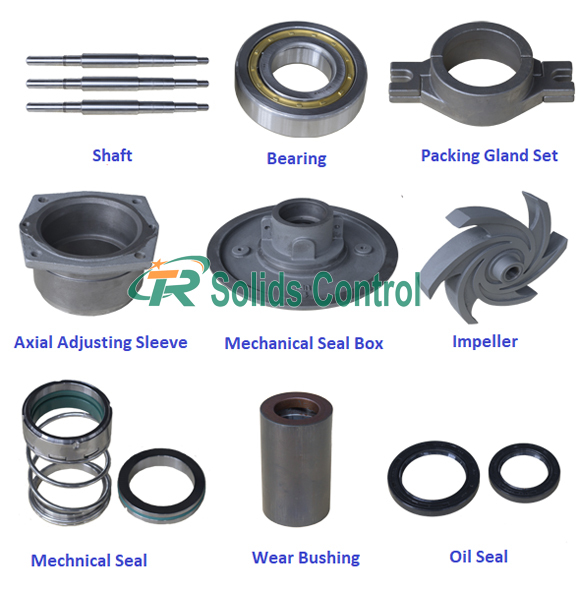 Material of mechanical seal is carbide alloy, its life is 5 times than normal. Pump shell wall is thick, made by casting mold. Wear-resistant, also fine appearance. 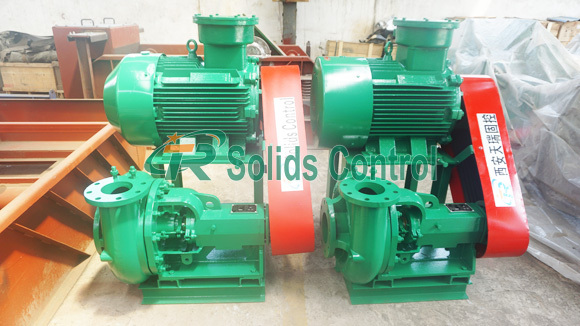 Pump body adopts wear-resistant alloy cast iron, with longer service life. TRJQB pump uses to handle the high property mud, making the mud to obtain good rheological properties and to cut the drilling cost as much as possible. Currently it is widely used in trenchless HDD, oil & gas drilling, tunnelling construction, city bored piling, Oil Mud Seperation, also Drilling Waste Management, etc. We are welcome your inquiry! 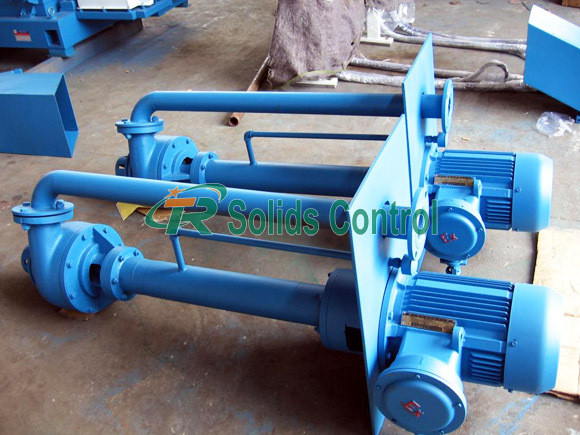 Nowadays, mud agitator is widely used in mud circulating system. 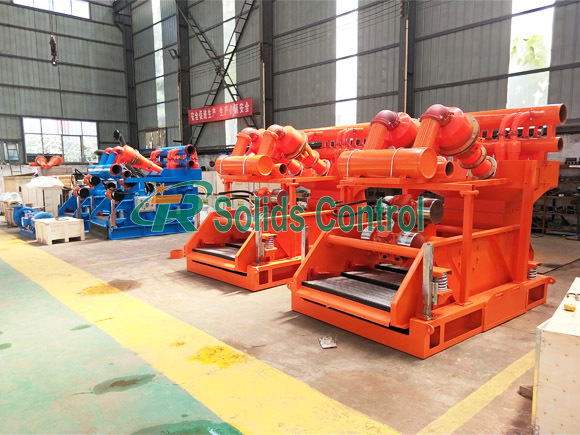 As a main solid control equipment, mud agitator is mainly used for stirring and mixing of drilling fluid to prevent the solid particles from depositing in its tank circulation system, making the performance of circulating drilling fluid stable, and mixing evenly. Meanwhile, in order to keep the uniformity of drilling fluid and to suspend the solid particles. It is necessary to install mud agitator on the mud tank. The gearbox adopt worm gear. More reliable. Good heat exchange performance makes agitator faster cool down. Product structure optimization, small size, also compact structure. Running smoothly, small operating noise, long lifespan, less wearing parts, also cost-effective. Motor and gear box will be connected by coupling directly. While agitation speed is more stable. Using high-pressure airless spraying equipment construction, after primer, intermediate coat, also finishing coat and other processes to achieve beautiful appearance and antiseptic effect. 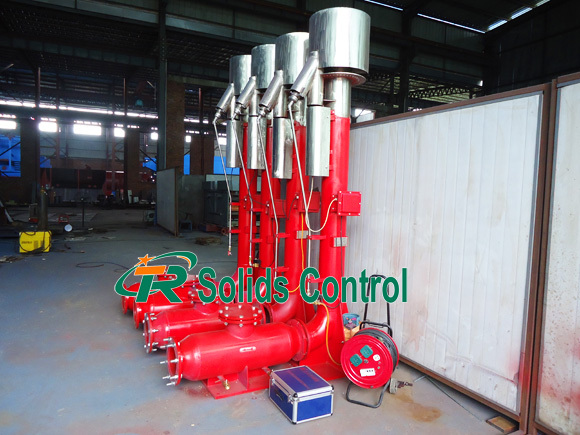 Above all, if you are looking for high standard mud agitator for supporting your mud circulating system, TR Solids Control can help you. Also our mud agitator has competitive price with good quality. Furthermore, we are proficient in other solid control equipment like mud cleaner, shale shaker, mud gun, shear pump, centrifugal pump, vertical cutting dryer, flare ignition device, also mud gas separator, etc. Welcome your inquiry! Flare ignition device is an environmentally-friendly discharge torch that is exclusively produced by TR Solids Control. Also it is suitable for ignition of long distances and air and toxic gas burning places that cannot be reached by humans. 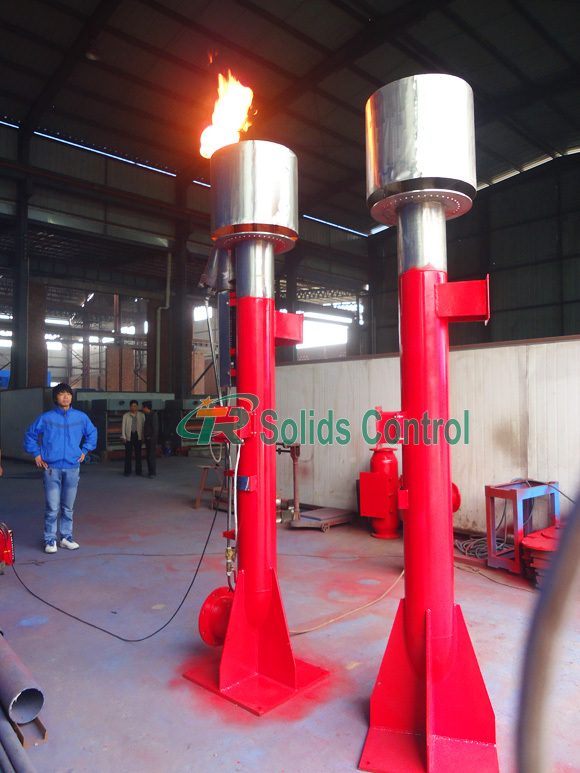 Recently, TR completed the commissioning of 4 sets flare ignition device ordered by our Inner Mongolia client. Finally they had a good performance and operated very well in our workshop. And now, as a matured product, flare ignition device has been also widely used in petroleum drilling engineering. For these 4 flare ignition devices, their model is TRYPD-20/3. Diameter of main body is DN200. Charging voltage is 12V/220V, also ignition media is natural gas or LPG. Ignition voltage is 16V with charge mode of AC. The weight of this kind flare ignition device is 520kg, and dimension is 1610*650*3000mm. Furthermore, TRYPD flare ignition devices can ignite in the moment of spray timely at an accurate location spray pipe from the set off export toxic flammable gas. Therefore to eliminate gas pollution to the environment, human and animal damage. Above all, TR Solids Control is a main manufacturer of flare ignition device in China. Our ignition device has good price with high quality. Furthermore, currently TRYPD series flare ignition device is widely used in trenchless HDD, oil & gas drilling, Drilling Waste Management, city bored piling, also Coal Bed Gas Solids Control System, etc. Welcome your inquiry at any time!